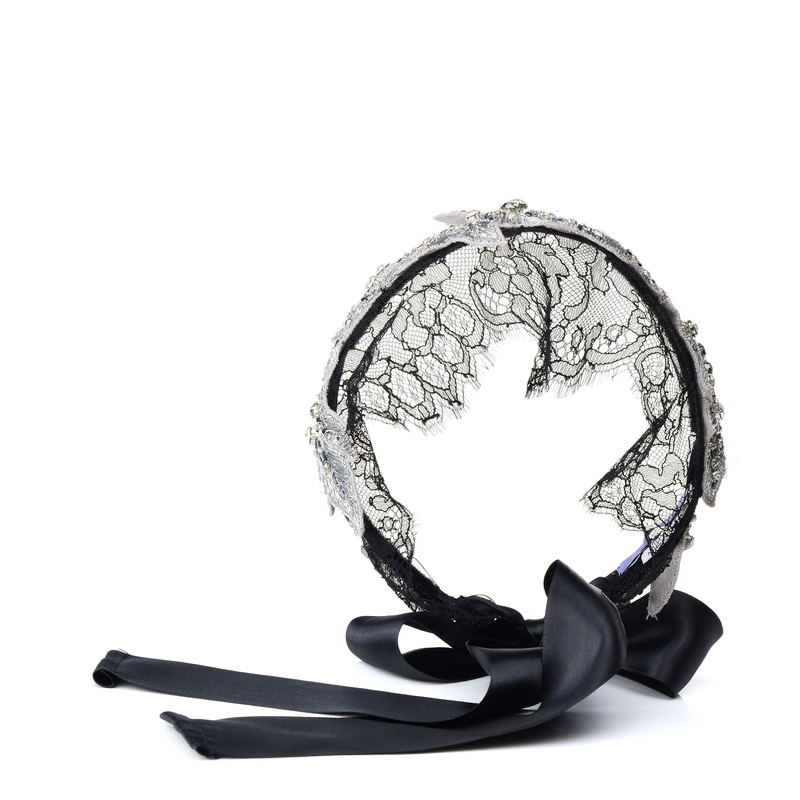 YUNA YANG signature An undulating Silver arrangement of beads, rhinestones, and black lace. 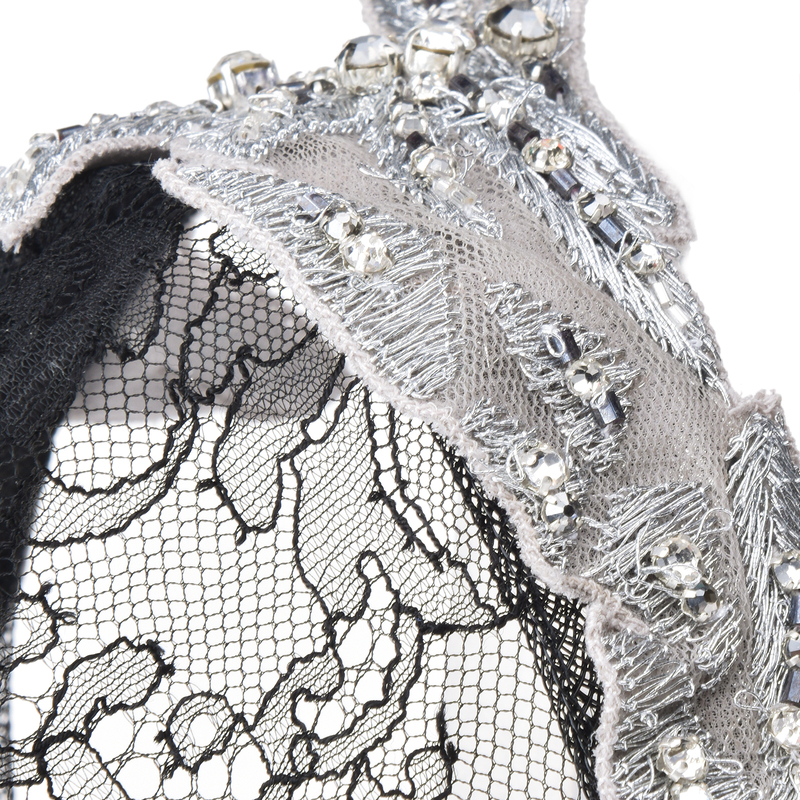 Rhinestone, bead embellishments, and lace; snap closure at back and smooth black ribbon. Can be used as a belt, headband, and choker. 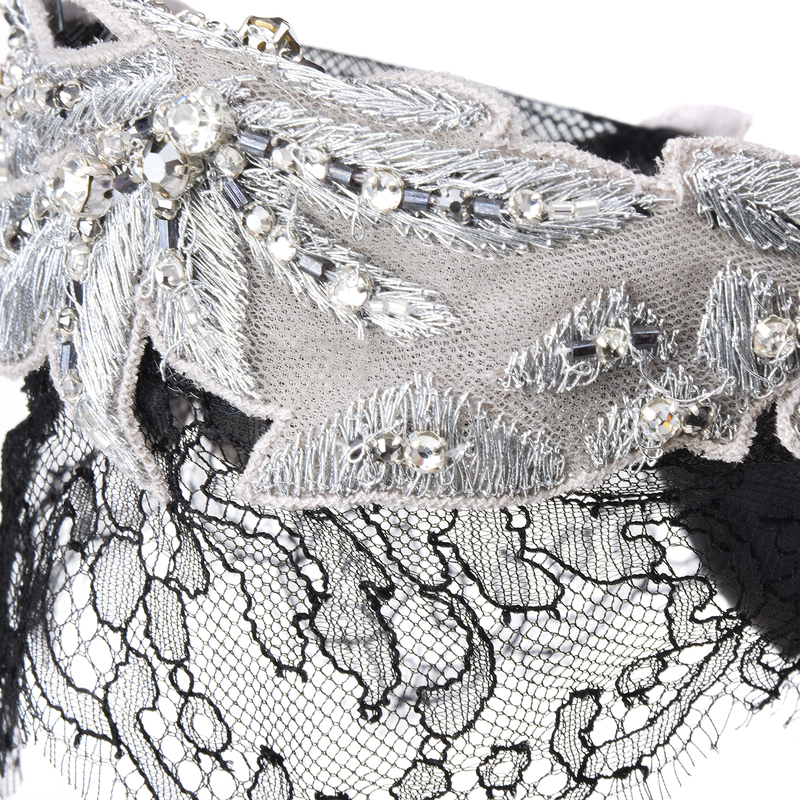 Multicolor bead embellished and embroidery details. 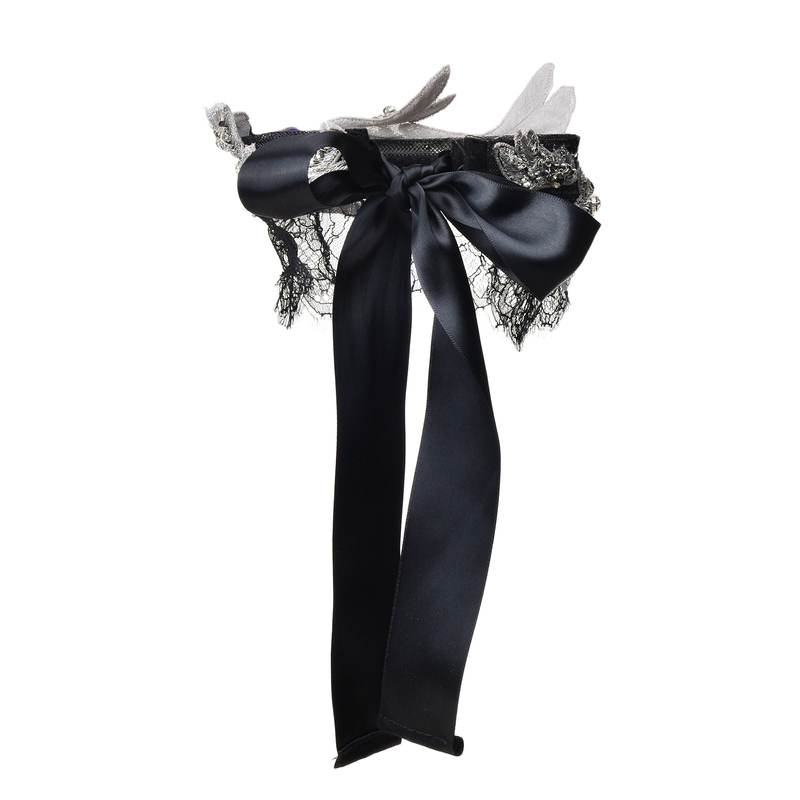 Ribbon self tie. Used as choker, belt, and hairband. Snap on. Wipe down with soft cloth.